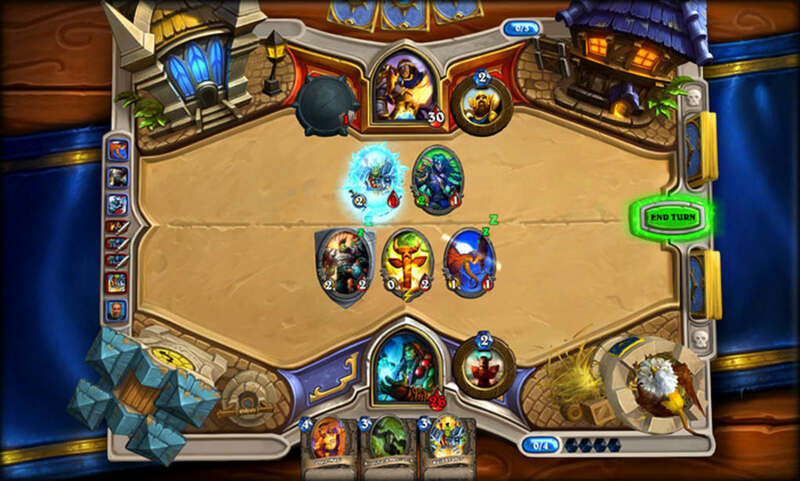 Hearthstone is an online collectible card game (CCG) in which you will face friends and strangers with cards and characters inspired by Warcraft. 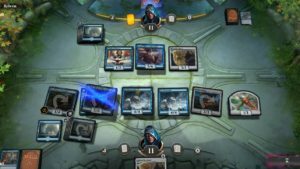 Remember Magic: The Gathering and Duel of Champions? 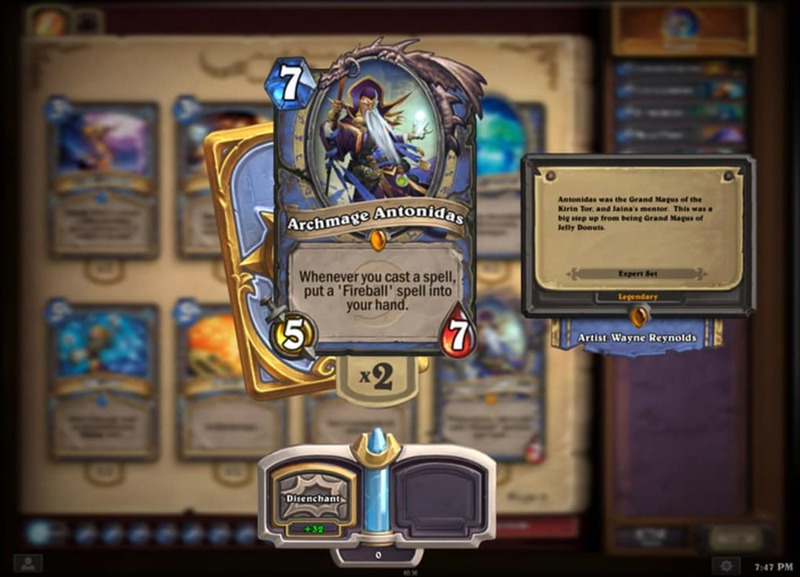 Well, Hearthstone takes these concepts and makes them (even) more accessible with streamlined rules and controls. While it is primarily a multiplayer game, it is also fun to play alone thanks to its full campaign and excellent tutorial. 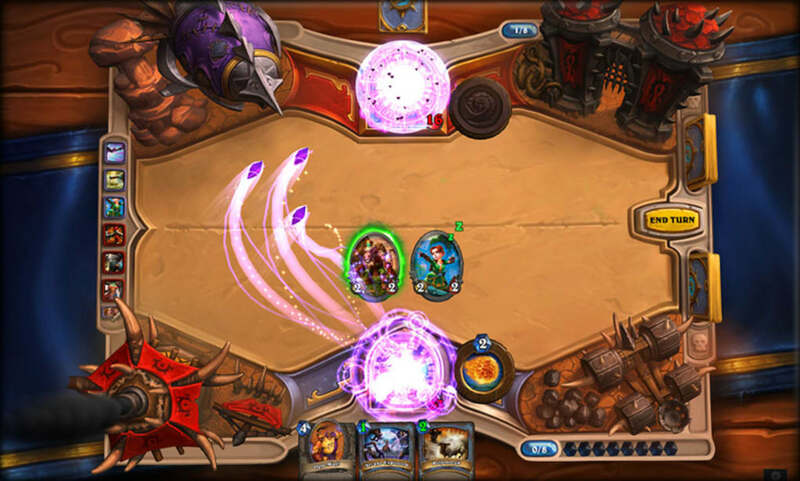 Hearthstone: Heroes of Warcraft’s clashes have you battling your opponent with your pre-constructed 15 card deck. The possibilities are enormous thanks to the 9 different classes you can play as, each with their own unique cards. Unlike Duel of Champions and similar games, however, none of your cards are filled with complex rules - Hearthstone is committed to simplicity. 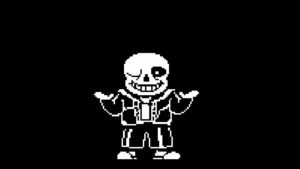 The game is very accessible from the start, thanks to its excellent tutorial, but as you advance a depth begins to reveal itself. Never has the expression "simple to learn, difficult to master” been so apt, insuring interesting matches for both new player and veterans: a fact clearly demonstrated by the professional community that has developed around the game. 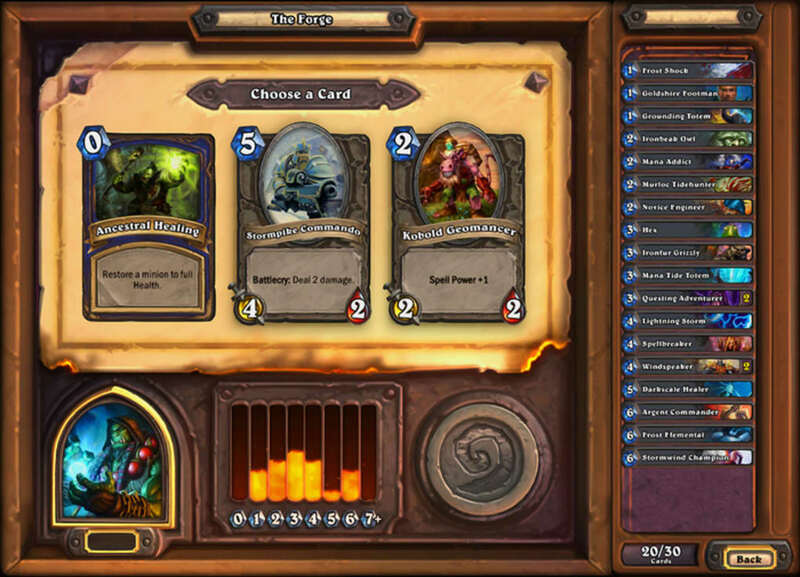 Besides the straightforward duals seen in other CCG’s, Hearthstone also features an "arena". In this mode (which requires that you pay with money either through earned currency or an in-app purchase), you must build a deck of thirty from a random selection of cards. You then face other opponents one at time until you win 12 matches, or lose three – after which you can claim your reward – creating an intense game mode for players of all abilities. 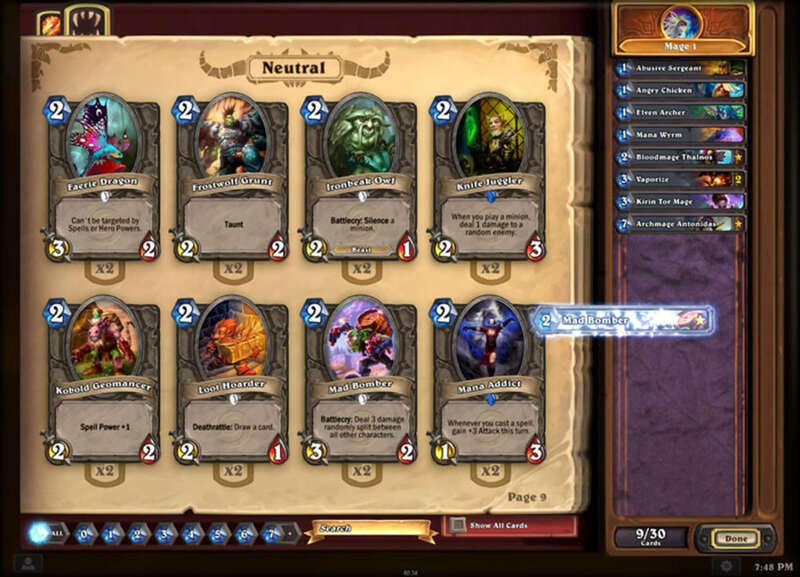 Hearthstone gameplay is well designed to work on all platforms (though on smaller screens cards can be hard to make out). With its basic drag-and-drop controls, you will have the basic down long before you finish the tutorial. 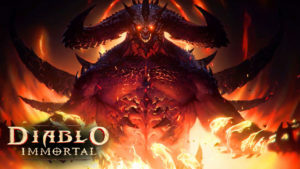 Not that this will surprise fans of Blizzard who are renounced for their careful and intuitive design. 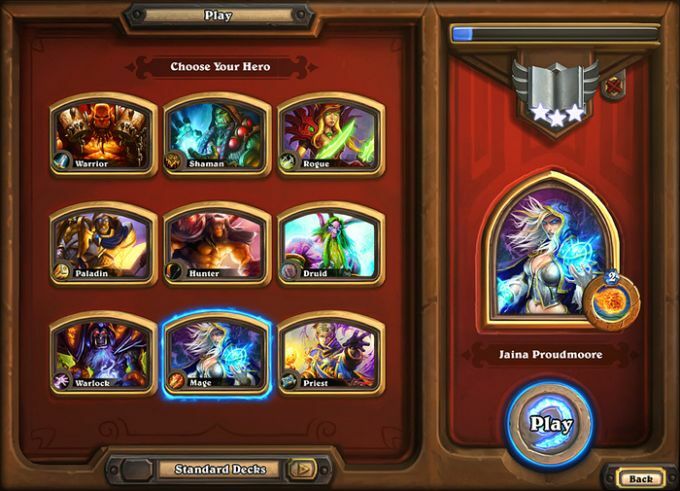 Hearthstone’s monetization model is also easy to grasp. You buy packs of cards (boosters) to expand your deck options, coins to face rivals, and expansions to expand the single player campaign. The game’s quest system also allows you to earn in-game currency by finish tasks (such as entering a set number of battles as a specific class). 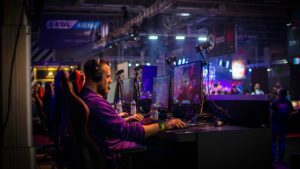 On the whole the game is balanced, meaning purchases are not necessary as long as you are prepared to dedicate some time to it, but those unwilling to part with cash have far more limited strategic options early on. Hearthstone graphics are superb, all living up to Blizzard’s usual high technical proficiency and attractive in-house aesthetic. The soundtrack follows the same pattern, with well composed, excellent music. Warcraft Hearthstone came from now where to sit at the top of the digital CCG pile. The game is interesting and balanced for all players, although it is sad that the players who do not pay tend to be more strategically restricted.